Winter is here to the delight of children! If your kids are anything like my daughter, snow is a part of our daily conversations during winter. When will it snow? Will there be school? And of course, when it finally does snow, the all important question of, Can I go play in it? This weekend in Ohio, we finally got snow! While all of the kids were ecstatic over the possibility of snowmen, snowball fights and days off of school, most of the adults I know didn’t share in the enthusiasm. Luckily for the parents and the kids I have the best use for snow! You can easily turn it into beautiful watercolor paint! I am a participant in the amazon affiliate program. Should you click a link and make a purchase I will earn a small advertising fee at no additional cost to you. 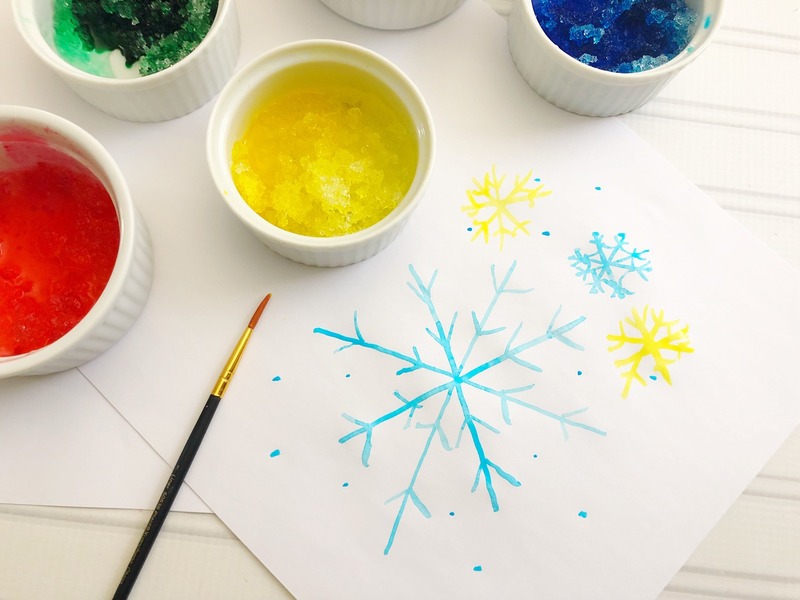 Watercolor snow paint comes together in just a few moments and results in a gorgeous way to create together. 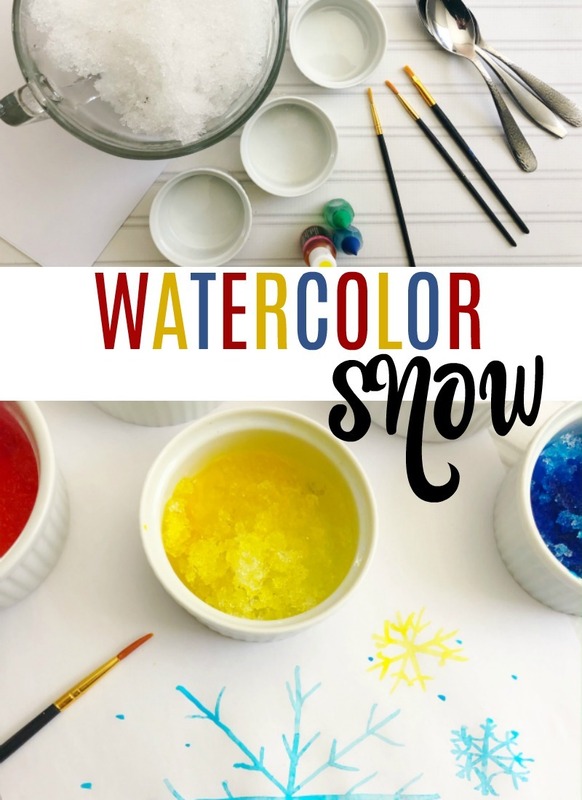 You need basic supplies for this project like paint brushes, cardstock and food coloring and of course the most important ingredient is some freshly fallen snow! Add 1/2 cup of snow to each small container. Add a drop or two of food coloring to each cup of snow and mix with a spoon. Set out some scrap newspaper into the table and place the white card stock on top. Use a paint brush to dip into the snow paint and begin to paint. Watercolor Snow Paint was a huge hit at my house! We loved creating winter scenes without worry of running out of our paint because all we needed to do was scoop up a little more snow to mix more! Incorporating snow into our arts and craft time was inspiring. I can’t wait to see what natural elements we can use the next time we make this! Perhaps we will try using twigs and evergreens as paint brushes for our watercolor snow paint! If you make watercolor snow paint with your family, I would love it if you snap a photo of your creations and share it with me on my facebook page.